A dazzling celebration of Palestinian cuisine, featuring more than 80 modern recipes, captivating stories and stunning travel photography. 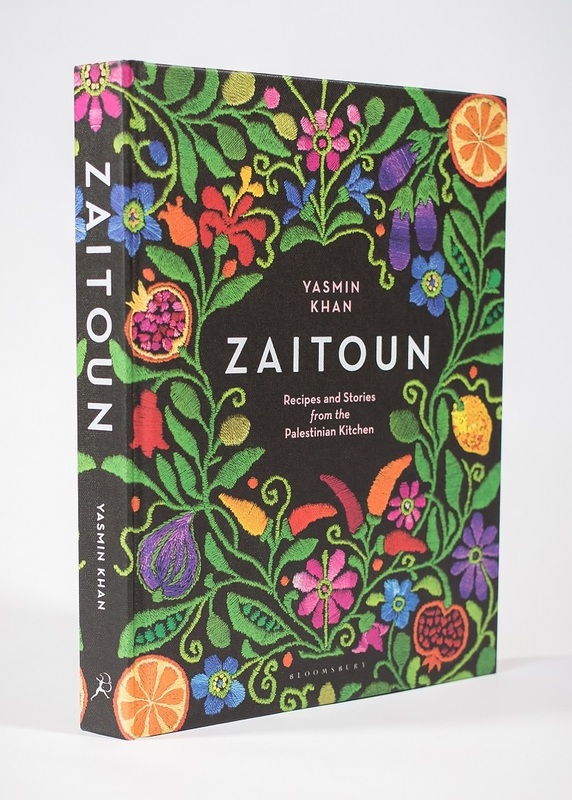 Yasmin Khan unlocks the flavors and fragrances of modern Palestine, from the sun-kissed pomegranate stalls of Akka, on the coast of the Mediterranean Sea, through evergreen oases of date plantations in the Jordan Valley, to the fading fish markets of Gaza City. Palestinian food is winningly fresh and bright, centered around colorful mezze dishes that feature the region’s bountiful eggplants, peppers, artichokes, and green beans; slow-cooked stews of chicken and lamb flavored with Palestinian barahat spice blends; and the marriage of local olive oil with earthy za’atar, served in small bowls to accompany toasted breads. It has evolved over several millennia through the influences of Arabic, Jewish, Armenian, Persian, Turkish, and Bedouin cultures and civilizations that have ruled over, or lived in, the area known as ancient Palestine. In each place she visits, Khan enters the kitchens of Palestinians of all ages and backgrounds, discovering the secrets of their cuisine and sharing heart-lifting stories.